A tenth of our teenage population engages in some sort of self-harm. The most popular is cutting which is the slicing of shallow grooves in the skin of arms and legs. This has been popularized by demonstrations on the internet by other teens. Self-harm also includes: burning, especially the fingers, arms and inner thighs; hitting which includes slugging a wall, head-banging, and hitting oneself, bone-breaking, usually fingers or toes, compulsive skin-picking which never allows a wound to heal, hair pulling and excessive body piercings and tattoos. 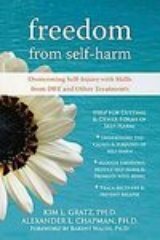 In the past, self-harm was considered a suicidal gesture but studies show that this is rarely the case. 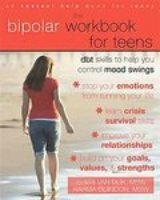 When asked, teens say that are trying to get relief from a deep pain inside that they can't control. They are in a terrible state of mind or they have very intense feelings of tension or anxiety that is overwhelming. They are trying to cover up their emotional pain and in a way, controlling their emotional pain through physical pain. This physical pain is used as a drug, a way to gain control over their emotional pain. It is a coping strategy. It works because self-harm releases endorphins, which are chemicals in the brain which gives us the feeling of well-being. These feelings seem to enhance one's sense of self control, mask painful feelings and counteract feelings of emptiness and boredom. Endorphins also reduce tension and can lead to the feeling of calm. This kind of relief, as you can see, can become addicting. Adolescents who are in the greatest risk of self-harm are kids who are alienated from their peer group, have low self-esteem, and have anxiety or depression. Females are more likely, 2:1, than males. For girl, sexual abuse is the most common history and for boys it is physical abuse. Many teens are simply crying out for help, when they engage in self-harm. Most individuals try to keep their coping method a secret but when the word is out they are embarrassed and ashamed. Families that most likely produce teens who engage in self-harm are violent homes, ones that have physical and sexual abuse, enmeshment, triangulation and disengagement. 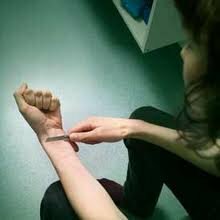 Self-harm can be a symptom of future, more serious mental illness such as: major depression, post-traumatic stress disorder, bipolar disorder, eating disorders, schizophrenia, borderline and substance abuse disorders. One important solution is to learn and practice emotional regulation skills. People, who self-mutilate, have great difficulty regulating intense, painful and negative emotions. These skills will provide a more constructive and effective ways of regulating their emotions. First thing is to learn to identify and label the emotions they are feeling. Next is to understand their emotional mind and to not get swept away by it but to understand that they can have a detached view of their emotions. Build positive emotions from positive experiences. Learn how to focus on the positive, not only the negative. 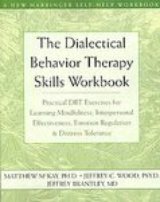 Learn the emotional regulating skills of "what" and "how" from DBT Therapy Workbook. Apply the distress tolerance techniques which spell out "IMPROVE". Imagery - Imagine relaxing scenes or your own effective coping strategy. Meaning - Find or acknowledge some purpose, value or meaning from the pain. Prayer - Open your heart to the Supreme Being, to a greater power or to your own wise mind. Relaxation - Use muscle relaxation techniques, deep breathing and half-smile. One thing at a time - Stay in the moment, focusing on what is happening right now, avoid thinking exclusively on the past or the future. Vacation - Take brief, mini breaks by engaging in pleasant, non-stressful activities that take you away momentarily from the tasks at hand. Encouragement - Cheer your-self on as you would a good friend, celebrate your victories.